The residential township of Elita Garden Vista is ready to provide you with blissful living spaces which are truly international. The project is luxuriously developed amidst an oasis of fauna and flora. When you stay here, you feel relaxed in the lap of nature, appreciating life to the fullest, amidst sleek designs with elegant finishing and space optimization. 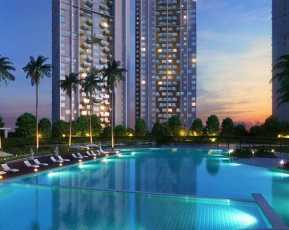 Elita Garden Vista New Town, Kolkata is strategically situated on the upcoming 2nd Major Arterial Road of Newtown Action Area III, Kolkata. This is a 6 lane expressway. It runs almost parallel to the 1st Major Arterial Road. It is close to the Baguihati, Lake Town. The project is very near the Tata Memorial Hospital, DPS – Newtown, USA based OHIO Hospital, DLF’s 2nd IT park, Bengal Ambuja’s IT hub Ecospace and Techno India College of Technology. 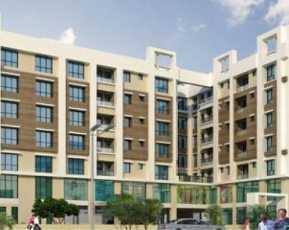 Elita Garden Vista township has 6.86 acres of elevated central podium park fitted with state of art amenities. 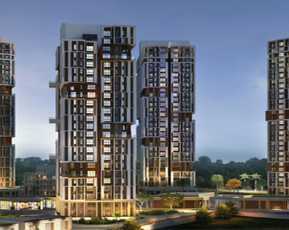 The residential township has 1,086 units spread over 25 acre land, with 15 towers of 15-30 stories. 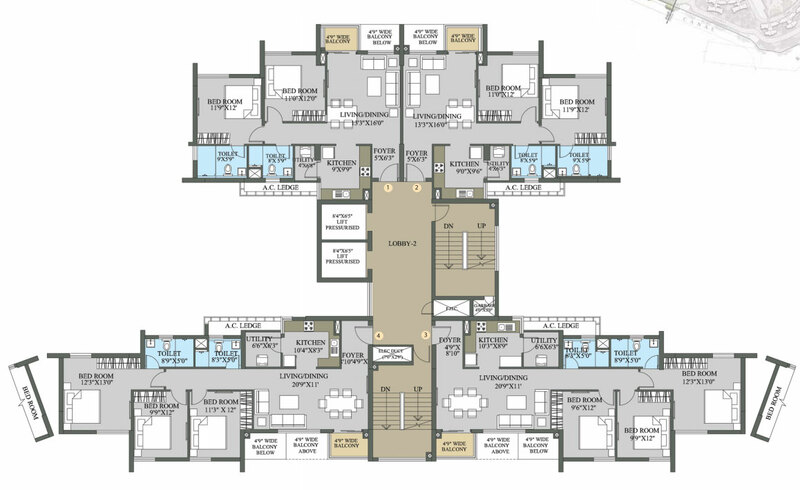 The complex has 2 to 3 BHK apartments ranging from 764 sq. ft. to the 1607 sq ft.
On the amenities front, Elita Garden Vista offers a party lawn and barbeque corner where you can hold special get-togethers with your friends and family. It is also equipped with a world class gymnasium, tennis courts as well as a playing zone for kids, where your little ones can enjoy. 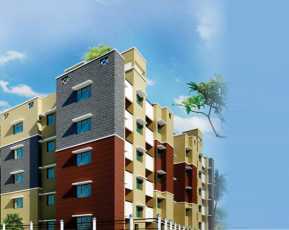 The realtors have also taken special care on the construction part by selecting an RCC frame structure. They have also tried to keep maximum open space on their different residential project. The Elita Garden Vista project is located near several water parks, recreational areas, amusement destinations and shopping malls. 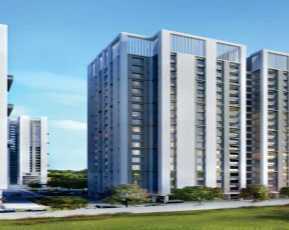 The Elita Garden Vista Price ranges between 51.00* Lakhs - 1.01* Cr, making it an affordable investment for your future. With so many amenities being offered why don’t you come and stay at the Elita Garden Vista where you will be able to experience the magic of living at New Town. Come join the community now!